Posted on July 25, 2018 at 11:14 am. The department is in the early stages of revising rates to collect more money from the 1,100 organic producers, handlers and processors it inspects, certifies and advises. The department also plans to adopt a new label for the state’s organic products, replacing George Washington’s image with something more distinctively organic, said Brenda Book, organic program supervisor. The department has not proposed specific fees or unveiled a new logo, but hope to have both in place by the beginning of next year. Book said the department needs to take in more money to keep the program self-supporting and build a cushion, though some businesses may not see their fees rise. “We don’t anticipate increases across the board,” she said. The department certifies that organic products meet USDA standards. Annual fees range from $200 for growers with less than $15,000 in sales to $2,200 plus 0.11 percent of gross sales for growers with sales of more than $75,000. The department has a separate list of fees for handlers and processors. The department’s current budget estimates the department will collect $6.5 million in fees over two years to support the equivalent of 35.5 full-time positions. The department is not ready to say how much more money it wants to collect. A detailed proposal will be due in the fall. In the meantime, the department will meet with organic producers, Book said. “We’re still determining what’s that magic number we want to get to,” she said. Fees last had a major overhaul more than 15 years ago. 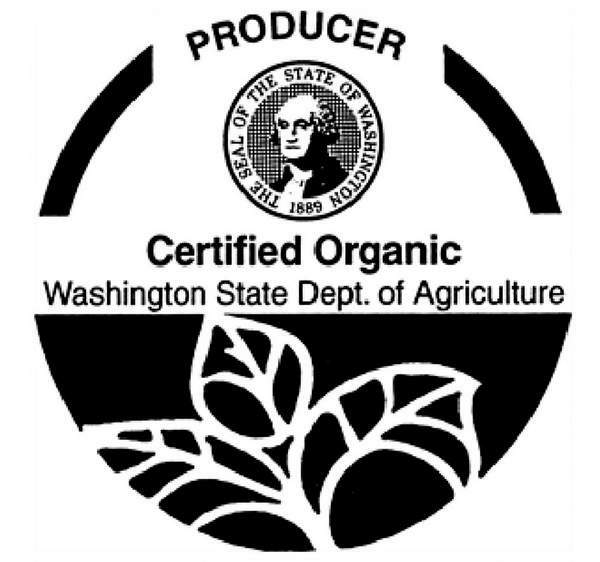 The state agriculture department does not have a monopoly on organic certification in Washington. Some 15 other USDA-accredited organizations based outside the state are willing to certify organic farms in Washington, according to a USDA’s National Organic Program database.